The index opened positive around 7630 but saw huge selling from the onset and closed near the lows of the day at 7546.45, loss of 67.90 points. 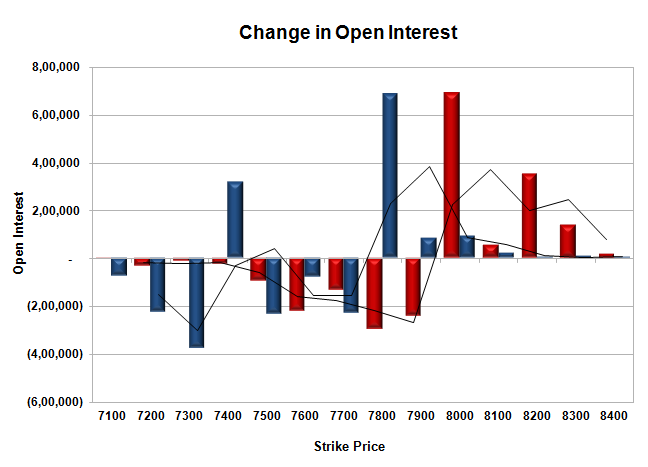 The broader market was negative with 617 advances to 922 declines. The range for series is at 7400-8000. 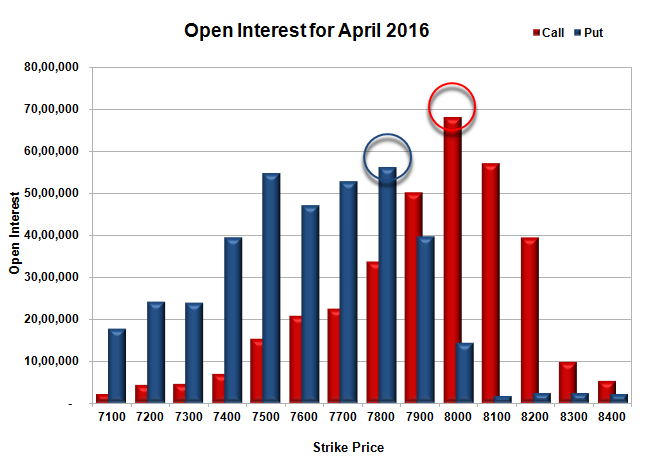 Call option 7600-7900 added 16.84 lacs OI with profit booking seen at 8000 and above strike prices. Put option 7400-7300 added 4.85 lacs OI with short covering seen at 7600 and above strike prices. Nifty Open Interest is at 1,57,34,700 down by 14,10,600, with decrease in price, most probably huge long liquidation. 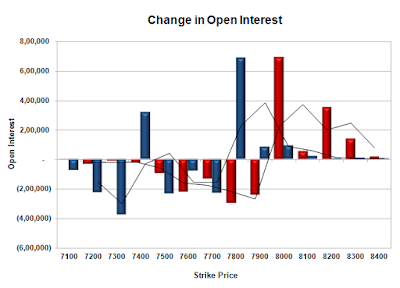 Bank Nifty Open Interest is at 17,04,660 down by 60,690, with decrease in price, most probably long liquidation. 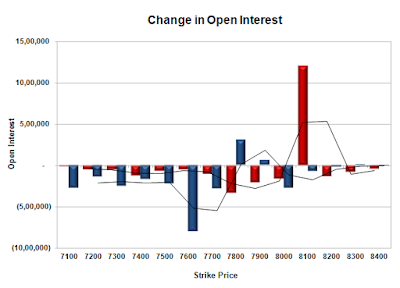 FII’s sold huge 25641 contracts of Index Futures, which includes net 23581 contracts long liquidation and 2060 contracts short build-up, with decrease in net OI by 21521 contracts, includes 21276 longs to 46917 shorts for the day. FII’s Index future open contract as on date is 129549 Longs to 87329 Shorts, Net 42220 down by 25641 contracts. 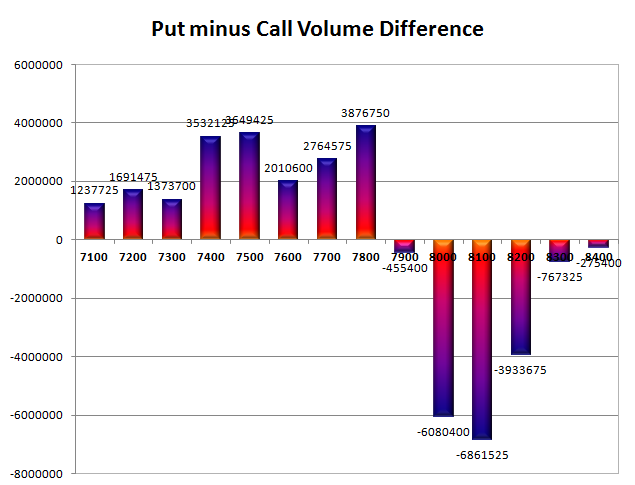 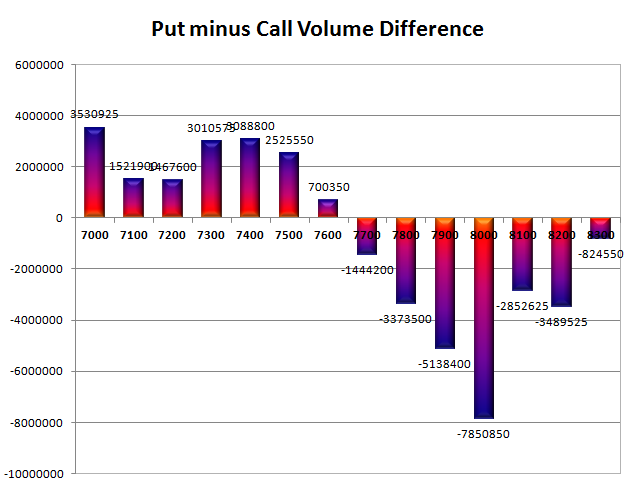 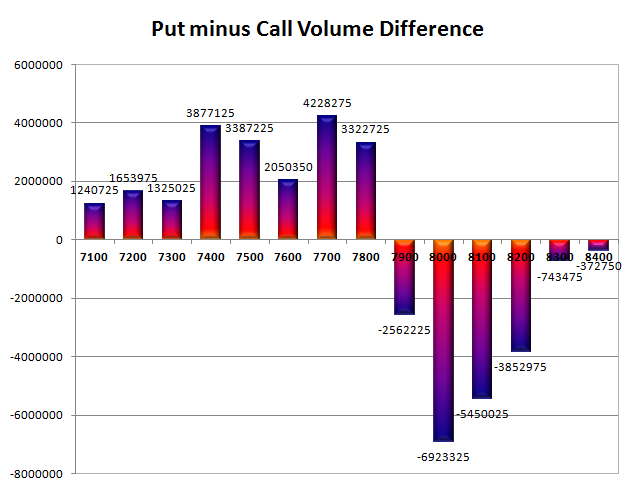 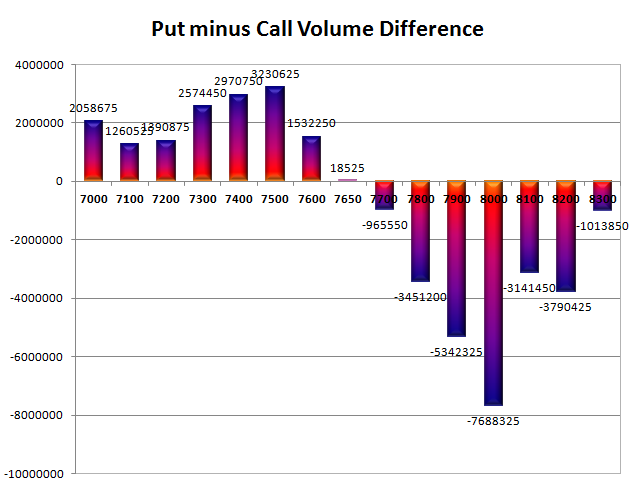 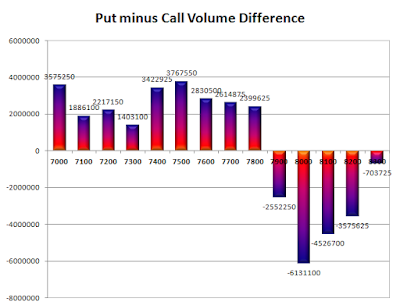 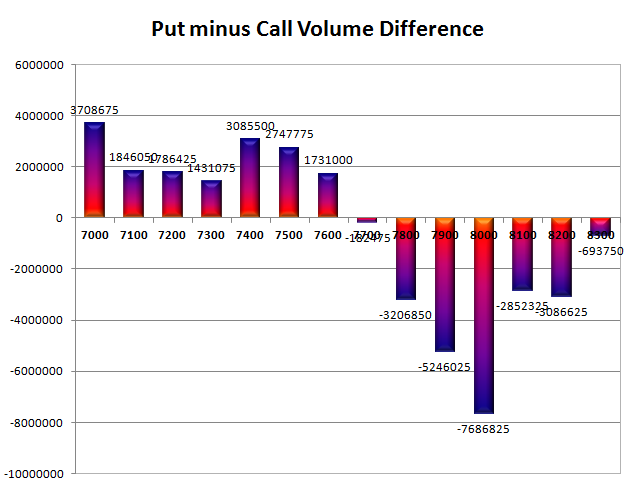 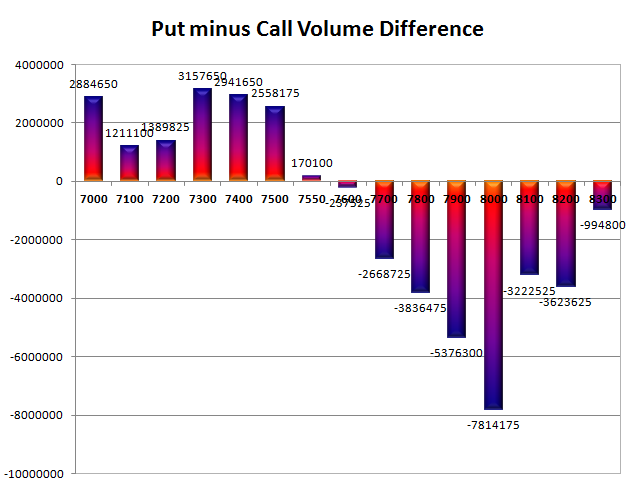 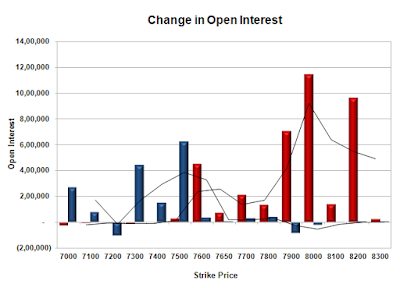 Initial and best support at 7500, with OI of 51.51 lacs and below that at 7400 with OI of 42.48 lacs. 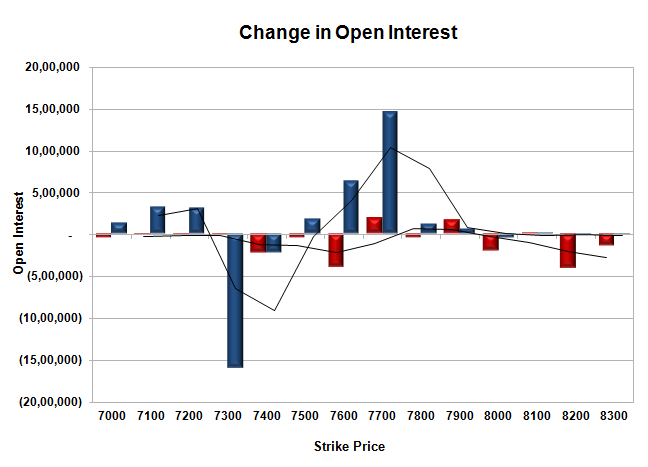 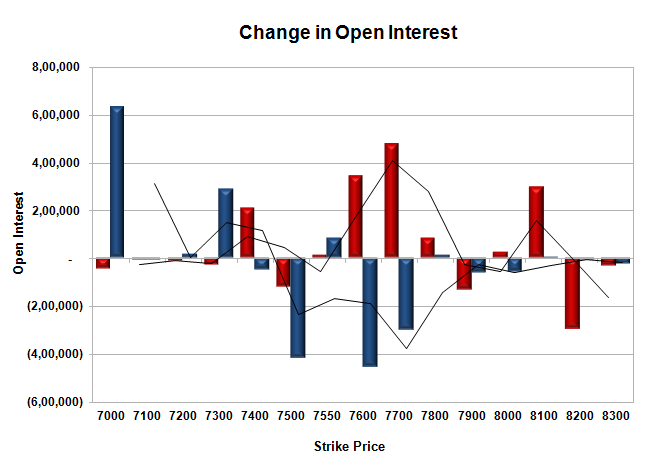 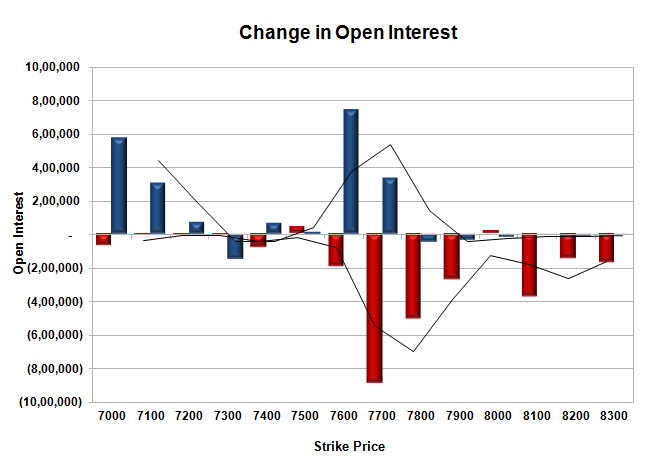 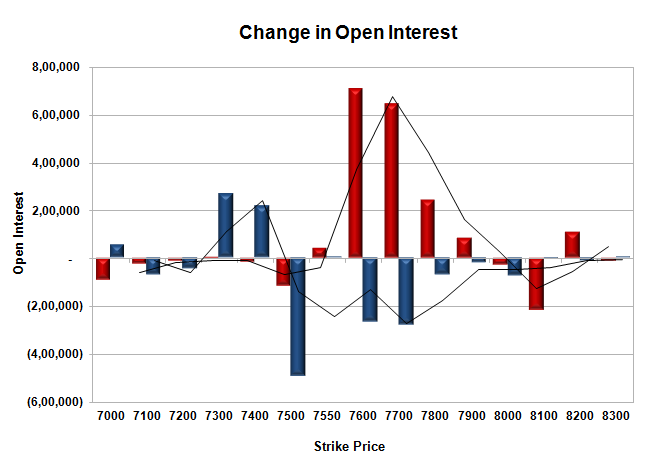 Initial resistance at 7600, with huge OI addition of 7.07 lacs and above that at 7700 with OI of 41.07 lacs. Day Range as per Option Table is 7496 - 7637 and as per VIX is 7480 - 7613 with 7571 as the Pivot. 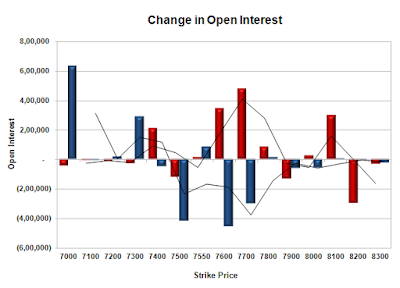 The index opened positive around 7636 and stayed in a narrow range but mostly in the green and closed at 7614.35, small gain of 11.15 points. 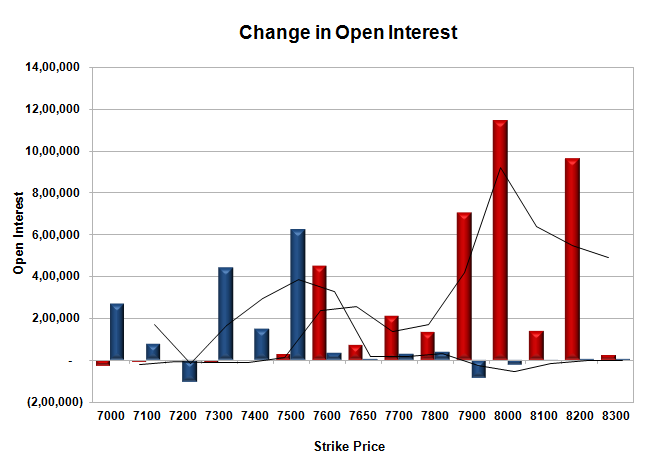 The broader market was strong with 1077 advances to 472 declines. 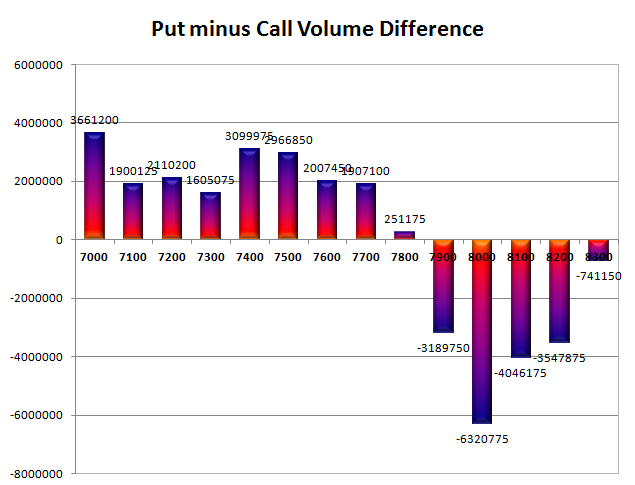 The range is at 7500-8000. 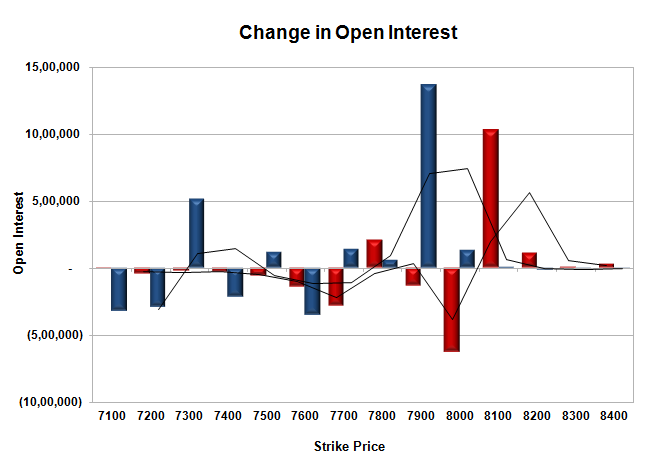 Call option 7600-8300 added 38.25 lacs OI with small short covering seen at 7400 and below strike prices. 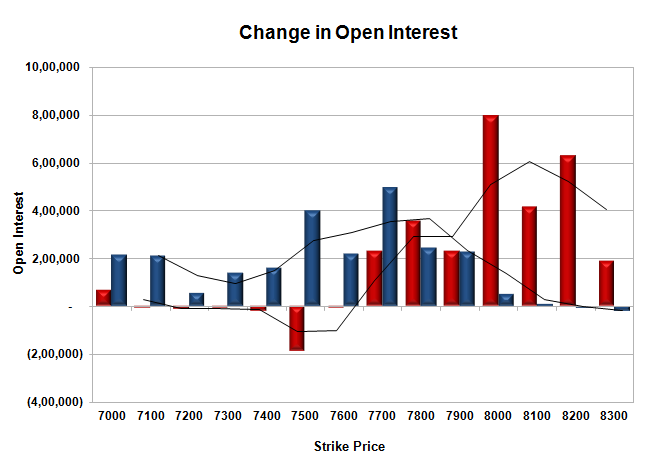 Put option 7800-7000 added 15.48 lacs OI with short covering seen at 7900 and above strike prices. 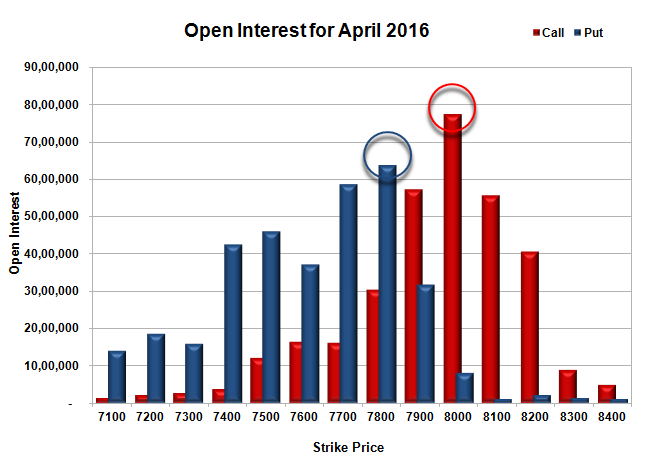 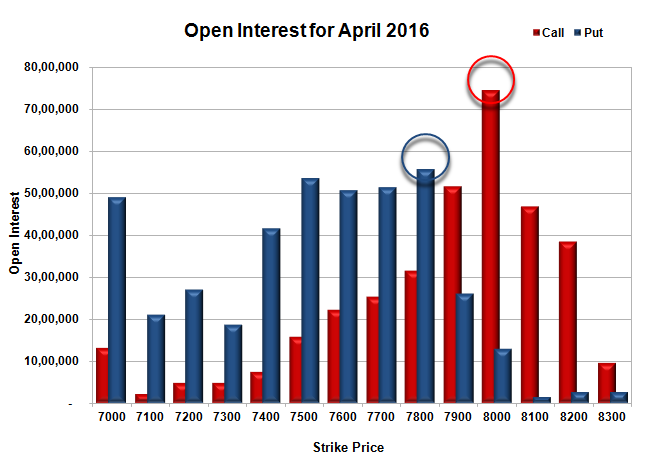 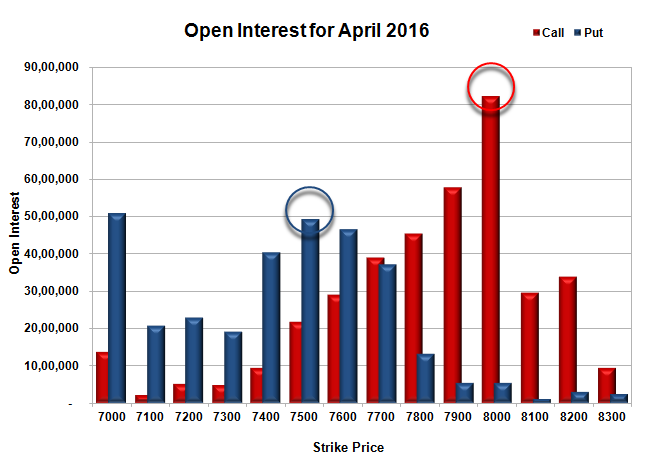 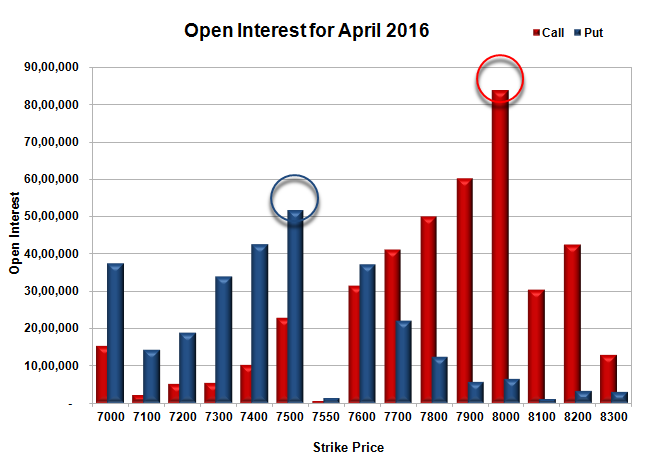 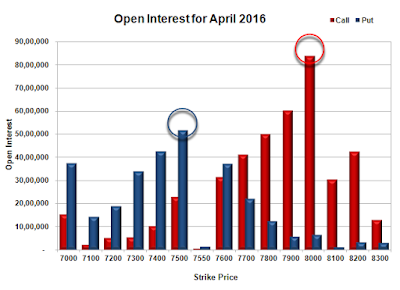 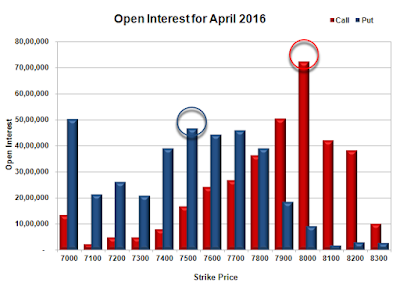 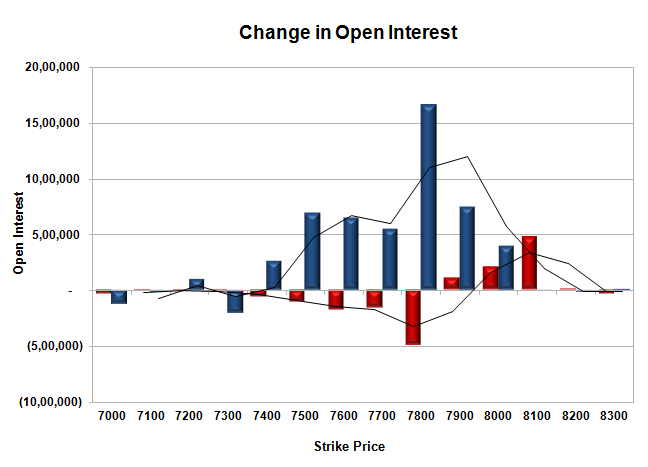 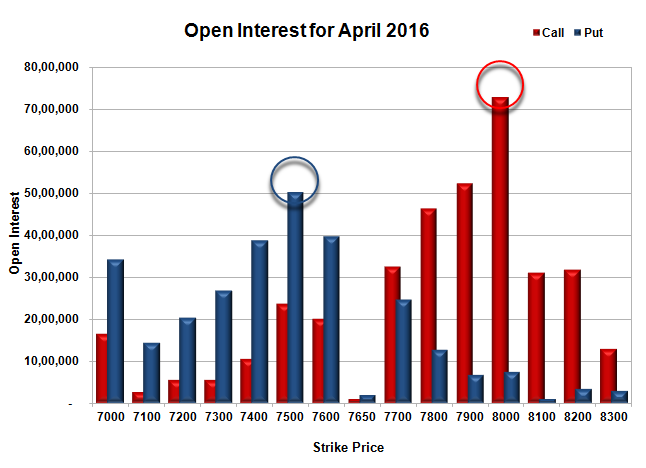 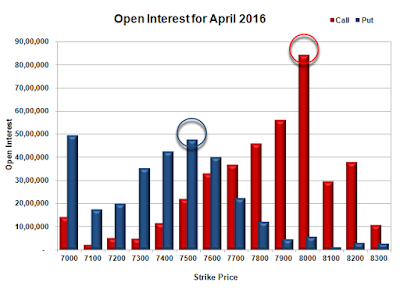 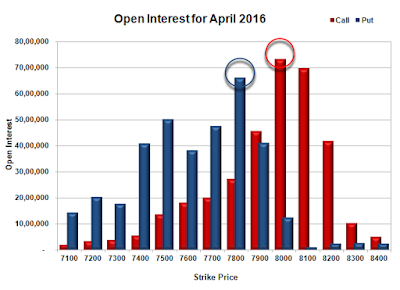 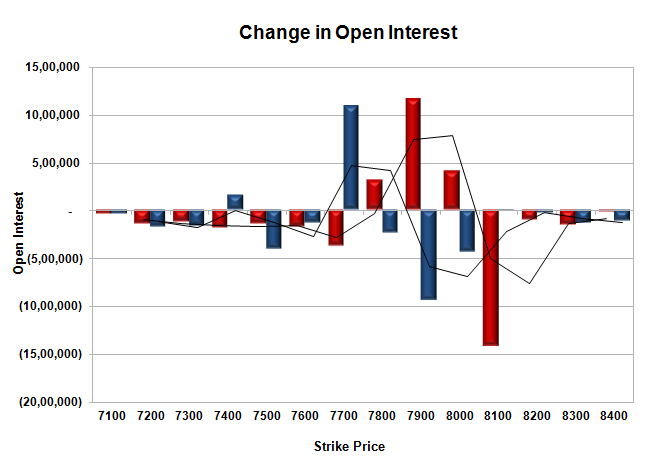 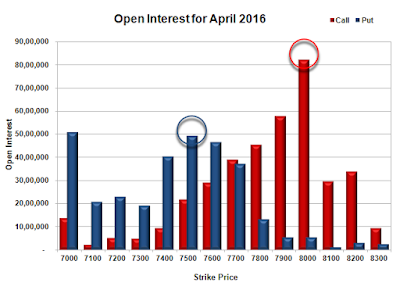 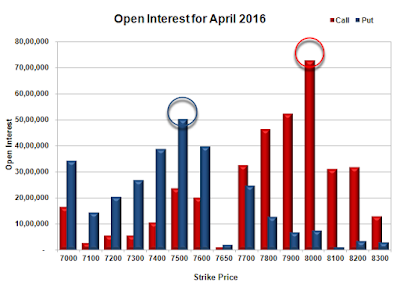 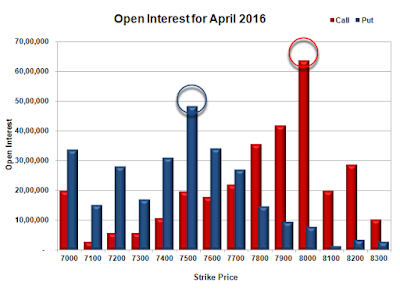 Nifty Open Interest is at 1,71,45,300 down by 7,00,725, with increase in price, most probably huge short covering. 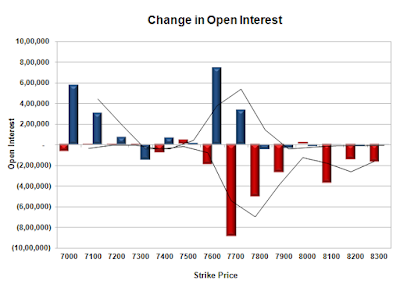 Bank Nifty Open Interest is at 17,65,350 down by 6,150, with decrease in price, most probably long liquidation. 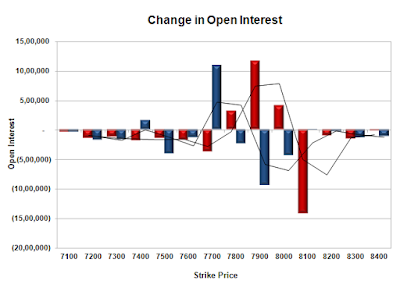 FII’s sold huge 13149 contracts of Index Futures, which includes net 8957 contracts long liquidation and 4192 contracts short build-up, with decrease in net OI by 4765 contracts, includes 18908 longs to 32057 shorts for the day. FII’s Index future open contract as on date is 153130 Longs to 85269 Shorts, Net 67861 down by 13149 contracts. 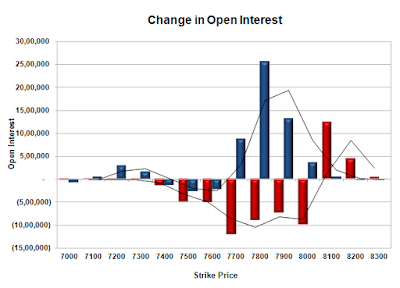 Initial support stays at 7600, with OI of 39.90 lacs and below that at 7500 with OI of 56.41 lacs. 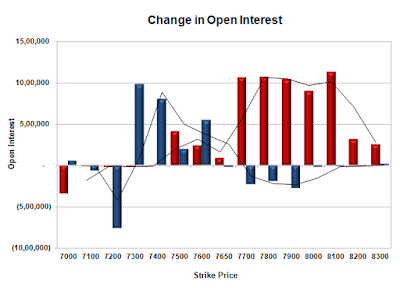 Initial resistance at 7700, with OI of 34.61 lacs and above that at 7800 with OI of 47.69 lacs. 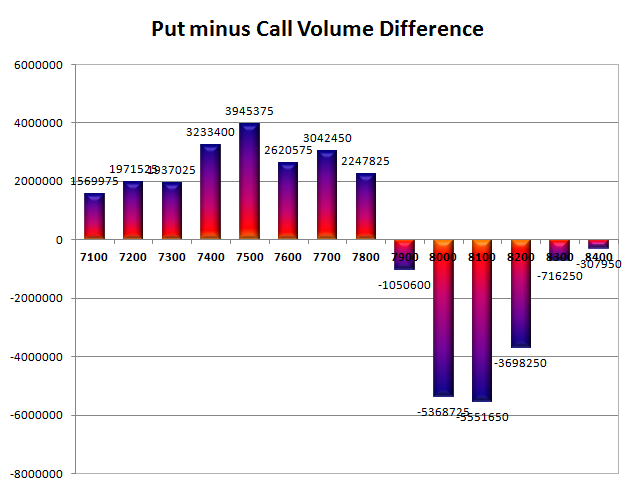 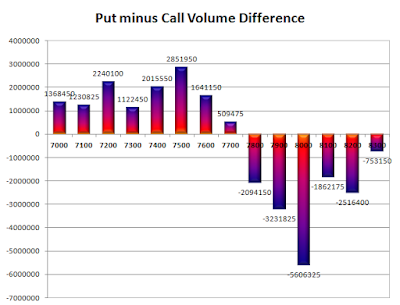 Day Range as per Option Table is 7545 - 7688 and as per VIX is 7543 - 7685 with 7615 as the Pivot.